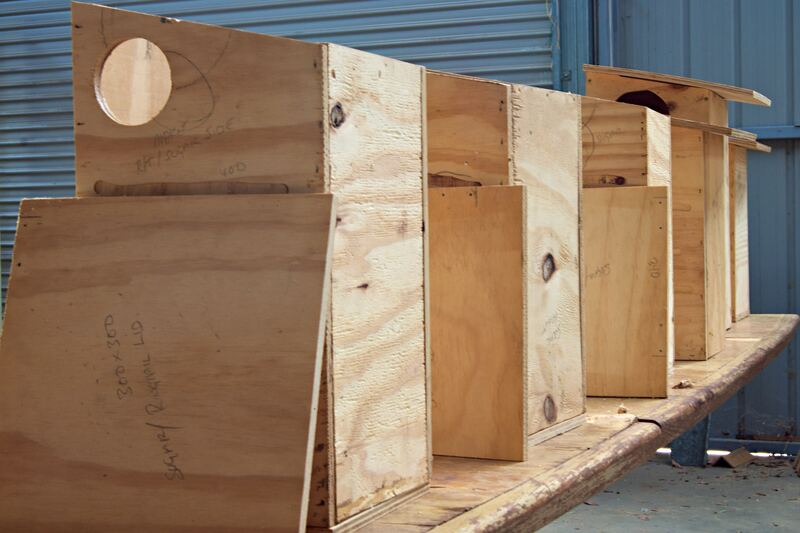 The Wedderburn Men’s Shed has begun the construction of a number of nestboxes as part of the Loddon Plains Landcare Network’s “Nestboxes for Kids Program”. The program brings together school students, the Men’s Shed and Landcare to build awareness among local young people of the need for trees, hollows and nestboxes for fauna in the local environment. The nestboxes will be used with Grades 3-6 at Wedderburn College as part of their Biological Sciences curriculum in Term 2, with Year 9 Duke of Edinburgh students helping the Men’s Shed in construction. 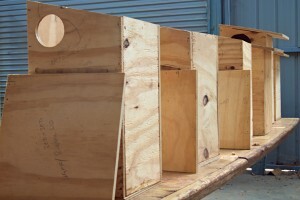 The project was made possible through a grant from the Loddon Shire Community Grants Scheme that enabled the purchase of materials for the nestboxes. The Network is grateful for the grant from Council to undertake this collaborative conservation project. The Network is also working with East Loddon College on the project, where Grade 6 students will build nestboxes as part of their Term 2 woodwork class. For further information contact Anthony Gallacher. 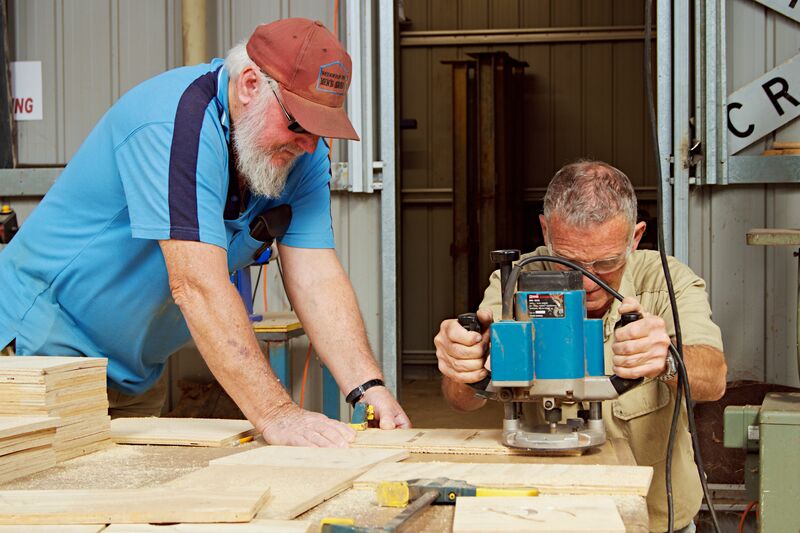 Photos by Ric Raftis: Mick Crawford (left) and Geoff Maxwell (right) constructing nestboxes at the Wedderburn Men’s Shed.